I’ll put the hammer down! 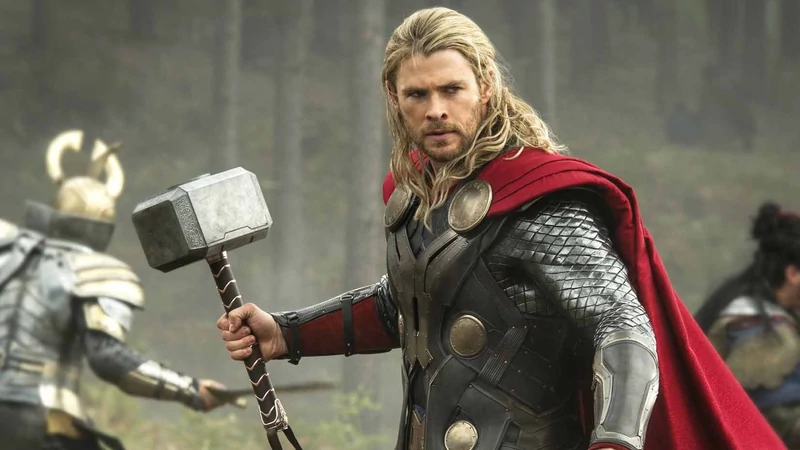 Before Chris Hemsworth’s Thor was a box-office juggernaut and one of the most beloved Marvel Cinematic Universe characters, he was a design nightmare. How do you create a Thor film, with the full, flamboyant aesthetics of Asgard intact, in a way that complements the rest of the universe—that can filimically exist alongside Iron Man and Captain America? Thor’s hammer, it seems, could’ve gotten a lot more eccentric. As Wen says, going over the top is a part of the conception process, but while doing that he hits on some moderately interesting designs, from the super minimalist to designs that leak magic power and look sort of like those bouncy toy hammers little kids play with. While the final design is a good call, I dig these cut concepts. Little piece of alternate history.